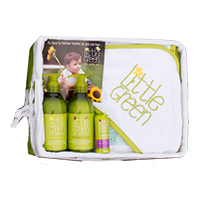 A 5-piece basket specially for babies, featuring Baby Shampoo & Body Wash, Baby Nourishing Body Lotion, Soothing Balm, Embroidered Hooded Towel and Boo Boo Pack. 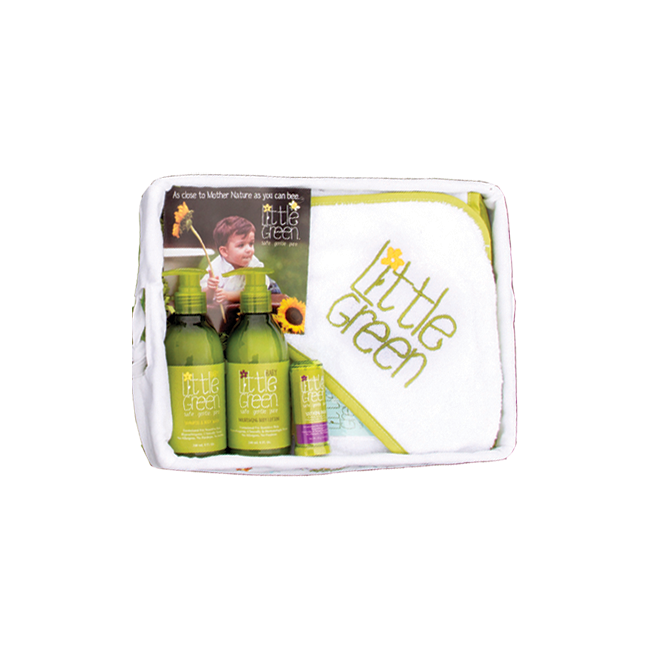 It is beautifully packaged in an adorable woven, green basket with an embroidered cloth insert. 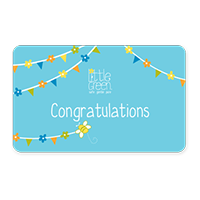 Embroidered Hooded Towel: 100% cotton embroidered hooded towel, perfectly suited for babies. Bye Bye Boo Boo: A soothing cold pack for use on Boo Boos, Bumps, Bruises and Insect Bites. Apply Bye Bye Boo Boo for several minutes to ease discomfort. 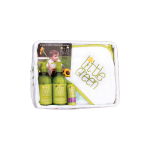 Shampoo & Body Wash: Pump a small amount onto washcloth or palm, lather and rinse. Nourishing Body Lotion: Smooth all over for baby soft skin. 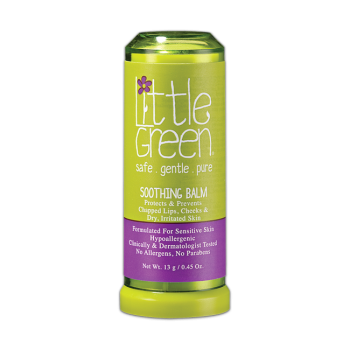 Soothing Balm: Apply liberally to face and body to protect dry, sensitive skin. Bye Bye Boo Boo: Store in freezer between uses. Apply Bye Bye Boo Boo for several minutes to ease discomfort. After use, wash in soap and water. Dry thoroughly. love that this product has so many amazing all natural ingredients. I don't have to worry about slathering my child with chemicals to prevent lice! Such a smart idea to have a hair gel that also serves a functional purpose! 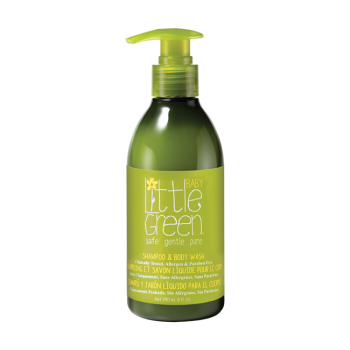 As a mom, head lice is always a fear for my kids so I love that I can use this gel to combat that while styling their hair!